Intel Corporation today announced that its board of directors has promoted three corporate officers.“These promotions recognize the expanded scope and significance of the organizations for each of these proven Intel leaders,” said Intel CFO and interim CEO Bob Swan. “These leaders are helping us achieve our transformation from a PC-centric to a data-centric company, and I look forward to their continued contributions.” Michelle Johnston Holthaus was promoted from corporate vice president to senior vice president. Holthaus is the general manager of Intel’s Sales and Marketing Group and the interim chief marketing officer. She is responsible for global sales and revenue at Intel and leads the company’s efforts to foster innovative sales and marketing approaches that broaden Intel’s business opportunities and enhance customer relationships worldwide. Holthaus joined Intel in 1996 and is based in Hillsboro, Oregon.Daniel (Dan) McNamara was promoted from corporate vice president to senior vice president. He is the general manager of the Programmable Solutions Group at Intel. He is responsible for the P&L, strategy and execution of the company’s programmable hardware, IP, and software solutions and power product portfolio. McNamara joined Intel in December 2015, upon the close of Intel’s acquisition of Altera Corporation, and is based in Santa Clara, California.Allon Stabinsky was promoted from corporate vice president to senior vice president. He is the chief deputy general counsel of the Law and Policy Group at Intel. He currently leads the global Intel Legal department. Previously, Stabinsky was the deputy general counsel for the Solutions Legal Group and chief compliance officer, with leadership responsibilities for legal support of Intel’s Technology and Manufacturing Group and Sales and Marketing Group. Stabinsky joined Intel in 2005 and is based in Santa Clara, California. Intel operations leaders gather for the daily “8:20” – a morning huddle inside Fab D1X to ensure that the Hillsboro, Oregon, chip factory is running smoothly. Up to 30 people may squeeze into this room to confer on factory tool status, parts availability, operating forecasts, experts who may be needed or other urgent issues. The fab – the size of four football fields – runs 24/7/365. (Credit: Walden Kirsch/Intel Corporation)The “Team Room” inside Intel’s Fab D1X in Hillsboro, Oregon, is unique. Anything entering the fab – including the Fab D1X Team Room – must be thoroughly scrubbed or swabbed. Human skin and hair must be almost entirely covered. Workers wear head-to-toe bunny suits, protective glasses, two pairs of gloves, booties, hoods, and face masks. Workers often recognize one another by their build or their gait, not their face.In the D1X Team Room, anything that could shed particulates is verboten. No makeup, for example. Common supplies like paper and pencils are off-limits too – they both can create micro-dust. Only ink pens and special fab-approved synthetic paper are allowed in. This is the first photo inside the D1X Team Room ever shared externally. San Francisco e Parigi – Ingenico Group (Euronext: FR0000125346 – ING) e Intel Corporation hanno annunciato una collaborazione per combinare le tecnologie Intel e Ingenico e realizzare soluzioni di accettazione di pagamenti sicuri sull’Internet of Things. Le aziende svilupperanno congiuntamente un tablet mobile che supporti nativamente i requisiti bancari EMV(1) e le funzionalità di pagamento NFC, nel rispetto degli standard imposti dal mondo bancario per prevenire le frodi con carta di credito. San Jose, California, (PRNewswire) Super Micro Computer, Inc. (NASDAQ: SMCI), a global leader in high-performance, high-efficiency server technology and green computing, announces it is shipping server solutions optimized for Intel® Xeon® E5-2400 “Sandy Bridge-EN” and E5-4600 “Sandy Bridge-EP” series processors. New X9 Dual-Processor (DP) solutions offer a cost optimized entry point for Data Centers looking for best power usage effectiveness (PUE). Systems built around Supermicro’s compact 12″ x 10″ form factor (X9DBL-3/i(F), X9DAL-3/i) and UIO (X9DBU-3/iF) “B2” socket motherboards are engineered with high quality, cost-effective components delivering customers the best performance-cost ratio. They feature memory capacities of up to 192GB (X9DAL, X9DBL) and 384GB (X9DBU), plus PCI-E 3.0 support. SuperServers based on the X9DBU series motherboard feature Supermicro’s innovative UIO architecture that supports full height expansion cards in 1U and 2U chassis making them ideal for data center and network/security appliances (6017B-NTF, 6017B-URF, 1027B-URF, and 2U 6027B-URF). SuperWorkstations based on the X9DAL series motherboard are ideal for CAE/MCAD/ECAD/GIS, video editing, and 3D animation (7037A-iL). SuperServers based on the X9DBL series motherboard are ideal PUE optimized servers for Data Centers, web servers, search engine appliances, gaming systems and ATMs (6017B-MTF, 6017B-MTLF, 6017B-MTRF, 1027B-MTF). Supermicro’s exhibits at IDF Brazil include the debut of the 4-Way 8017R-7FT+, a 2U SuperServer 2027GR-TRF optimized for Intel MIC and the innovative 2U Twin2® 6027TR-H70RF. Also on display will be Supermicro’s new X9 MicroCloud 5037MR-H8TRF supporting the Intel® Xeon® E5-2600 processor family. For more information on Supermicro’s complete line of high-performance, high-efficiency server and storage solutions, visit http://www.supermicro.com. About Super Micro Computer, Inc. Supermicro® (NASDAQ: SMCI), the leading innovator in high-performance, high-efficiency server technology is a premier provider of advanced server Building Block Solutions® for Data Center, Cloud Computing, Enterprise IT, HPC and Embedded Systems worldwide. Supermicro is committed to protecting the environment through its “We Keep IT Green®” initiative and provides customers with the most energy-efficient, environmentally-friendly solutions available on the market. Santa Clara, Calif. and Boise, Idaho, Feb. 28, 2012 (GLOBE NEWSWIRE) — Intel Corporation (Nasdaq:INTC) and Micron Technology, Inc. (Nasdaq:MU), today announced that the companies have entered into agreements to expand their NAND Flash memory joint venture relationship.The agreements, which are designed to improve the flexibility and efficiency of the joint venture, include a NAND Flash supply agreement for Micron to supply NAND products to Intel and agreements for certain joint venture assets to be sold to Micron. Under terms of the agreement, Intel is selling its stake in two wafer factories in exchange for approximately $600 million—the approximate book value of Intel’s share. Additionally, Intel will be receiving approximately half of the consideration in cash and the remaining amount will be deposited with Micron, which may be refunded or applied to Intel’s future purchases under the NAND Flash supply agreement. The agreements also extend the companies’ successful NAND Flash joint development program and expand it to include emerging memory technologies.”Micron’s joint venture NAND development efforts with Intel are a model of innovation, productivity and effectiveness,” said Micron Chief Executive Officer Mark Durcan. “With IM Flash and its associated programs, our companies have become leaders in the NAND Flash arena. These new agreements build on that success.””The Intel-Micron partnership has created industry-leading NAND Flash memory technology and developed a robust global manufacturing network. The new NAND Flash supply agreement with Micron gives Intel better flexibility to meet growing demand for SSDs and other products,” said Robert Crooke, Corporate Vice President and General Manager of the Non-Volatile Memory Solutions Group, Intel. As part of these agreements, Micron will increase its share of the overall NAND Flash output and optimize its global manufacturing network by purchasing the assets of IM Flash Singapore (IMFS) and the IM Flash Technologies (IMFT) assets in Manassas, Va.Micron has also agreed to supply Intel with NAND Flash memory from its facilities. The IMFT joint venture NAND manufacturing facility in Lehi, Utah, will continue to operate with minimal changes to its existing operations. The facility is currently in production on the companies’ industry-leading 20nm NAND Flash memory technology. The transaction is expected to close during the first half of this year, subject to certain conditions.Intel (Nasdaq:INTC) is a world leader in computing innovation. The company designs and builds the essential technologies that serve as the foundation for the world’s computing devices. Additional information about Intel is available at newsroom.intel.com and blogs.intel.com. Santa Clara, California, Amplidata, an innovator in unbreakable, low power object storage technology, demonstrates the Cloud Builders reference architecture of its next generation AmpliStor system that leverages Intel’s Xeon™ processor technology at Intel Development Forum. Data storage solutions have come to an impasse. The demand trajectory to store enormous amounts of data continues to rise, but growth remains hindered by the technical limitations of current solutions that store multiple data copies or deploy RAID to protect against disk failures. New solutions are needed to counter the existing problems with operating costs, power consumption and data loss. Amplidata addresses these issues in AmpliStor a durable and reliable storage platform that features industry-leading erasure coding technology to exceed customer durability requirements. Amplidata’s AmpliStor, solves the critical reliability and data integrity issues that RAID is known for on multi-terabyte disk drives. The technology is unbreakable and is in excess of 100,000 times more reliable than existing RAID-based solutions, essentially eliminating the chance of data loss. The new Amplidata solution will provide even greater performance and increase the reliability without compromising the cost per TB. As a member of the Intel Cloud Builders ecosystem, the Xeon™ optimized AmpliStor reference architecture is a clear demonstration of a converged storage platform. The scalar storage architecture reaps the benefits of Intel’s high-performance processors and provides customized, enterprise-class data durability while minimizing power consumption. The platform scales from a few nodes to multiple datacenters by simply adding storage nodes, to offer private or public cloud storage services across the enterprise WAN or the internet. AmpliStor provides high throughput and parallel data access powered by Intel Xeon processors while improving storage efficiencies and halving power consumption, as it requires fewer drives. Amplidata was founded in 2008 with a team of storage veterans who developed an Optimized Object Storage (OOS) system specifically for unstructured data. The solution, called AmpliStor, provides “Ten 9’s” of storage durability, high-performance and power efficiency at the lowest possible cost of ownership. AmpliStor scales to Petabytes and beyond, and requires 50-70% less storage capacity to protect data compared to alternative solutions. 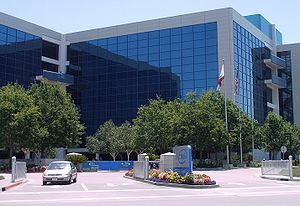 Amplidata has its operational and R&D headquarters in Lochristi, Belgium, with US operations based in Redwood City, CA. http://www.amplidata.com.